And Nellie came home. 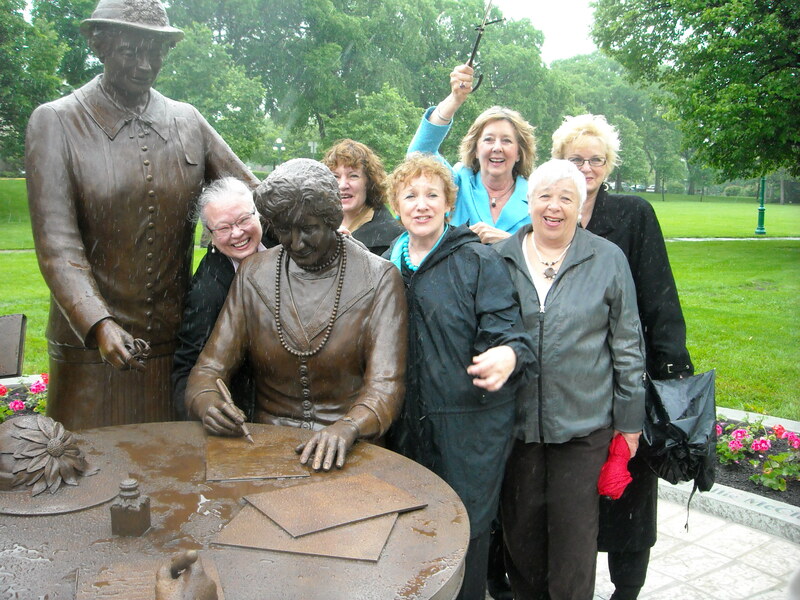 CFUW Board member Doris Mae Oulton was part of the the team that brought her back to Manitoba. This scene was photographed outside the Manitoba Legislature. Nellie McClung was a pioneer on the way to removing the disadvantage of being born a girl in Canada. She was instrumental in getting the vote for women in Manitoba – the first in Canada and was one of the Famous Five, Nellie McClung made it possible for women to be recognised as persons under the law in Canada in 1929. This entry was posted in Uncategorized and tagged 1st wave, CFUW, Manitoba, Nellie McClung on June 24, 2010 by cfuwadvocacy.